KIEV, Ukraine -- A senior Ukrainian defense official announced yesterday his government was prepared to participate in a planned NATO missile shield, ITAR-Tass reported. NATO Secretary General Anders Fogh Rasmussen. Last week, the 28-member alliance approved including missile defense as a NATO objective, paving the way for a program to integrate and enhance member nations' domestic antimissile capabilities. It has been suggested that the Ukrainian radar station at Mukachevo could be incorporated into the shield. "Ukraine has not only expressed the readiness to take part in the creation of the European missile defense system but has also offered to use its radar stations in the project," Ukrainian National Security and Defense Council Secretary Raisa Bogatyryova said following a meeting in Warsaw with Polish National Security Bureau Chief Stanislaw Koziej. "We are ready to cooperate if the alliance takes an interest in this proposal," Bogatyryova said. 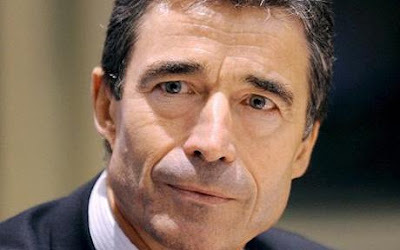 Earlier this month, NATO Secretary General Anders Fogh Rasmussen said Ukraine was welcome to participate in the missile defense system. Ukraine is not a NATO member. Russia has also agreed to pursue joint missile defense work with the alliance.